An emotionally charged rendition from a noticeably tight-nit group of actors gave a passionate performance of the American classic, “A Raisin in the Sun.” Word of the talented ensemble is spreading fast, and the limited seats at the Black Box Theater are selling out even faster. The play’s director John DiDonna is very pleased with the high praise and the large numbers in attendance, and the play’s opening week sell out persormances. “I feel very good about the entire production, and I feel great about the audience response,”said DiDonna. The relatively small Black Box Theater is an ideal setting for this intimate play, which takes place in only one location. It features a cross-sectional view of an extended African-American family living in a cramped and rundown apartment in the 1950s. As the audience members enter, classic jazz and swing music from the era floats into their ears, and they find themselves becoming acquainted with everything located within the single room encompassing one family's epicenter. The room comes to life as the play begins, with the family slowly waking up to start their day, and the smell of cooked eggs and running water set the sounds and smells of the typical morning. Time is spent in the beginning detailing and introducing the characters with the hopes, goals and motivations they each hold in their own unique ways. 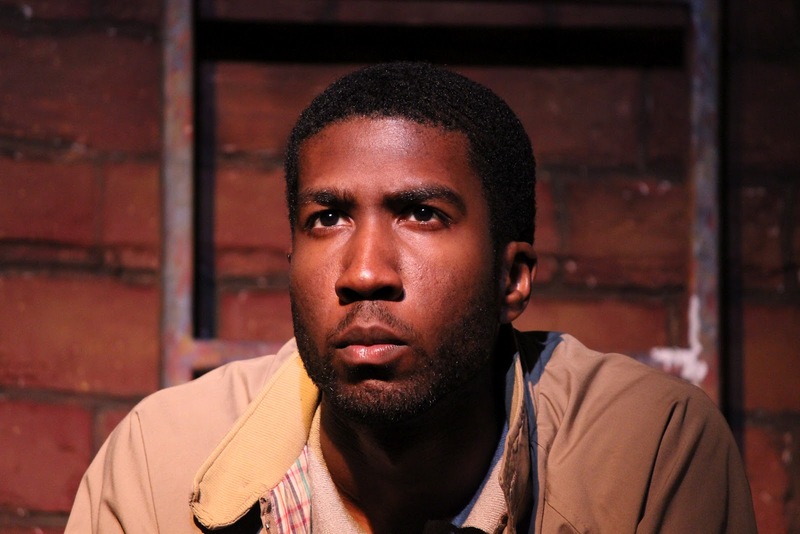 The most climactic moments of this production revolve around the conflicted protagonist Walter Lee Younger, played by Valencia and University of Florida alumni Parris Baker. Many audience members were visibly moved during his key scenes of the play. Walter fights to define himself as a man and provide a better life for his family. Dealing with several complicated issues compounds the tension in the overcrowded household. 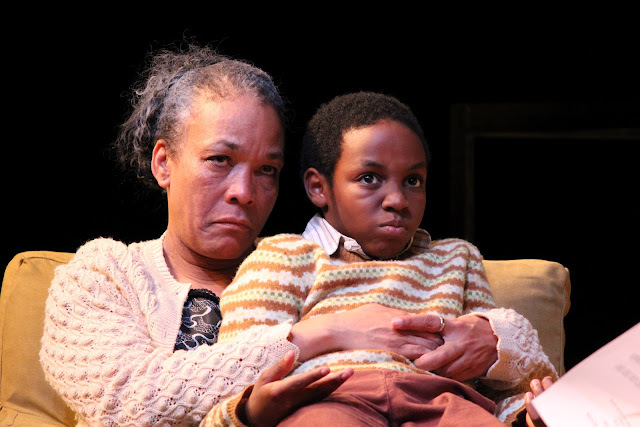 Walter’s wife Ruth Younger, played by Cherise James, soon finds that she is pregnant with another child. She contemplates getting an abortion because she is already dealing with tensions over money, her husband’s radical behavior and her youngest son Travis having to sleep on the living room sofa. The era in which this play is set also addresses several issues of sexism and double standards toward women. Topics of religious practicality, equality standards and more are all conveyed by Beneatha Younger, played by Valencia theater student Marshay Weaver. She does a phenomenal job with the complex subject matter and is a natural in this production, marking her first acting performance on stage. “In that time --back in the 1950s -- it was unheard-of for someone like Beneatha to come in and say you can do what ever you want to do,” said Weaver. Though all the cast members have their shining moments over the duration of the play, the role of Lena Younger, played by seasoned actress Avis-Marie Barnes, is spell-bounding. She is the mother and primary nurturer that struggles to hold this chaotic family together. “There is nothing that really matters in anyone’s life if you don’t really love somebody,” said Barnes. 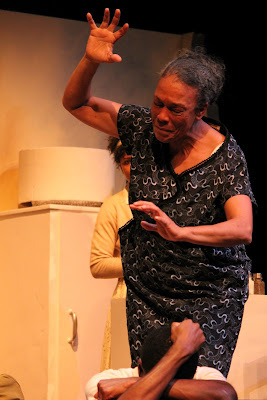 She is driven right to the edge near the end of the play, and has to fight to contain her emotional outpouring. This story, written by Lorraine Hansberry, is considered a cannon of classic American drama. The intense emotions and hard issues faced are just as powerful today as they were more than 50 years ago. Most of the performances are selling out for this unique and limited production. The final run will be Feb. 22 through Feb. 25 at the Black Box Theater on Valencia’s East campus located at 701 North Econlockhatchee Trail in Orlando. Valencia alumni Parris Baker plays the conflicted Walter Lee Younger. Emotions run high in the cramped Younger household.